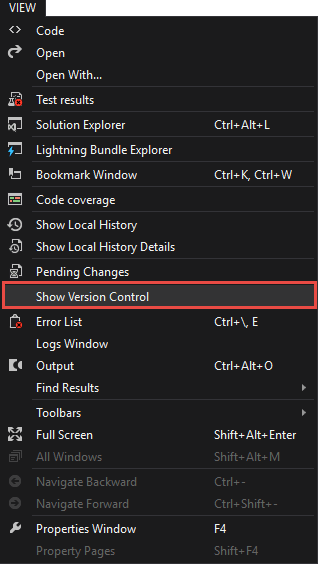 In order to access the Git functionality, you need to open the Version Control panel from the Main Menu: View ⇒ Show Version Control. If Version Control isn't enabled for your project, you will see the following message. Follow the instructions in the How to start working with a Git repository from TWS section and set up Git support. After the integration is successfully finished, reopen your project and then the Version Control panel. Settings — options to change the username and email address, and the ability to modify the .gitignore file with TWS-specific entries. Conflict resolving view where you are able to resolve all conflicts during the merge process. With all these options you have full control over the changes directly from the IDE.